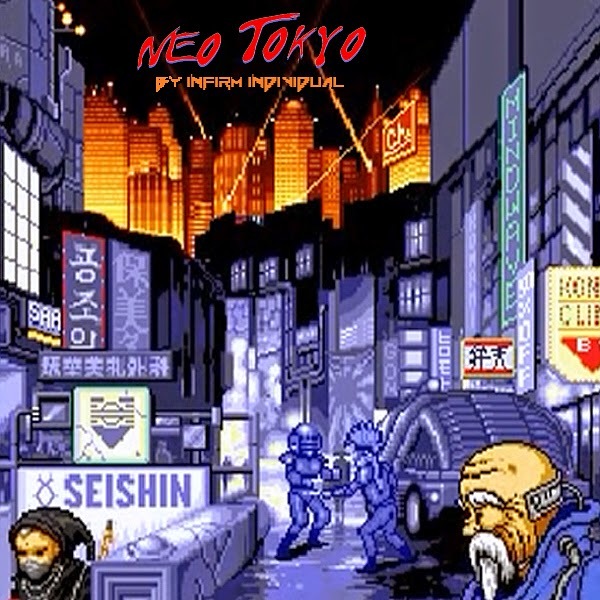 Coming to you straight from the future we are very pleased to announce the latest from Infirm Individual, Neo Tokyo. Telling the tale of a goblinoid cyberpunk Robin Hood, Neo Tokyo is an insight into a distant earth and life in the techno-slums of it's giant metropolis. Taking an 80's vibe and transplanting it into a futuristic world, Infirm Individual combines sweeping synths, jazzy melodies and punchy drums to create something magnificent, with tracks ranging from the almost ambient feel of 'The Astrodome' to 'Hoverboard Blvd' and its electric guitar lead, each feels unique and distinct. Don't miss this!